At Your Glendale HVAC – Air Conditioning Service and Repair we understand that when you decide to replace and upgrade your air conditioning and heating system, it can be a difficult process. Making sure you choose the right air conditioning and heating contractor, the right heating and cooling equipment, and that the equipment performs as you were promised are all important things that need to be considered when making such a major purchase. Your Glendale HVAC – Air Conditioning Service and Repair is proud to have earned the trust and respect of homeowners throughout the metro-Glendale area who have turned to us when installing new air conditioning and heating systems. They’ve come to know that they can count on the comfort consultants at Your Glendale HVAC to listen to their needs and install an air conditioning and heating system that will provide the comfort, energy savings and reliability they demand. Our friendly and experienced team of Comfort Specialists know air conditioning and heating systems inside and out. They’ll take the time to study your home, understand your heating and cooling needs, show you all of your options and assist you with finding the quality home comfort system that best meets your family’s needs and budget. 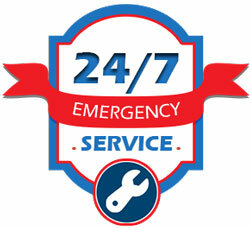 Contact us for Glendale System Replacement Service.